As with any new technology making headlines, cryptocurrency and blockchain (its underlying distributed ledger code) are subject to public confusion and misconceptions. After all, even electricity scared lots of its early users. So, if all the blockchain news has piqued your interest, but, you’ve got questions, here is a compilation of 10 popular misconceptions as explained by eleven members of the Forbes Technology Council. 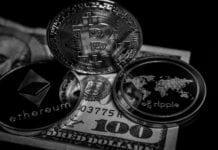 Bitcoin reports dominate much of the financial and technology news lately; it’s understandable how its popularity and recognition has surpassed that of its root technology, blockchain, such that the two are often conflated. Basically, blockchain is a distributed ledger that allows peer-to-peer transactions (of any kind) throughout the network. Bitcoin is a cryptocurrency that uses and, in fact, originated blockchain. For more detail and technical explanation of how this works exactly, check out previous article What is Blockchain Technology? Blockchain and cryptocurrency work brilliantly together, but, they can work just as well on their own. There isn’t just one use for blockchain; its underlying technology of distributed ledgers is useful for a variety of industries such as lands record management, supply chain oversight, and healthcare records, to name a few. One of the common misconceptions in blockchain technology is that it is not public. In reality, the majority of blockchain activity is rather traceable and stored forever. In fact, many of the best use cases for blockchain involve public records like land ownership titles to handle legal disputes. Many people are under the false assumption that all Bitcoin and crypto transactions are anonymous. Bitcoin is erroneously perceived as an anonymous platform when it is actually only pseudonymous and specific records can ultimately be connected to corresponding wallets. Furthermore, many government organizations have established relationships with major exchanges to guard against fraud. Blockchain often gets positioned as a technology that will completely revolutionize how businesses record and manage transactions. Although very promising, right now it is actually more process intensive, difficult to scale and takes more time to confirm transactions than traditional methods. As for security, it’s mostly useful if there is a need for a secure verification and the immutability of a transaction record. The volatility of cryptocurrency is often conflated with the credibility of blockchain technology. Blockchain has many use cases besides cryptocurrency. Because it offers so many applications, blockchain is more likely to have a global impact than cryptocurrency. Decentralization and anonymity sound great for criminals, sure. In reality, however, most forms of cryptocurrency are only pseudonymous and involve a public ledger. It is arguably more difficult to use cryptocurrency than fiat currency for purposes of money laundering. This is especially true for those in economically or politically unstable environments where corruption is rampant; cryptocurrency may arguably be the most legal and only safe place to store money. Blockchain has tokens and Initial Coin Offerings (ICO) and it’s very easy to understand why one might conflate coins and tokens. The difference is, while coins have only one utility, to act as a simple store of value, tokens can store complex values like property, utility, income and fungibility. Keep in mind that property can mean real estate transactions or intellectual property; that’s just how sophisticated tokens can be. Tokens can also capture commodities or loyalty points. “The misconception I see most about blockchain is that people think it is a storage mechanism. 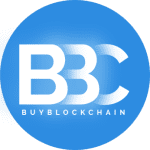 I think its advantage comes when it is used as an exchange, with each transaction involving at least two parties — one to give and one to take,” said Stefan Petzov, Swisscom. As the popularity and adoption of both blockchain and cryptocurrency seems to increase daily, new misconceptions surrounding this exciting new technology may spring up. Hopefully this article has cleared up the most common myths currently; for more information, there is another take on misconceptions you shouldn’t believe here. Next articleWhat’s really going on with the cryptocurrency ad ban?